Here we go again. 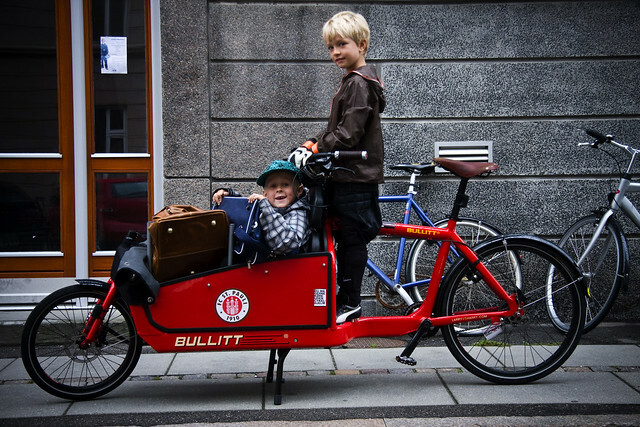 Some of you may remember the fairytale ending the last time my Bullitt cargo bike got stolen, back in May 2011. What started with this blogpost ended happily with this one. In lieu of being able to park the Bullitt in the backyard, I parked it on the sidewalk outside the flat. It is a busy street, right next to a busy intersection and a bus stop. I bought an extra lock - super thick Amsterdam style - and both locks secured the bike to a metal railing. Not optimal, but hey. This morning, the locks lay curled on the sidewalk like sleeping rattlesnakes and the bike was gone. Last time it got stolen and returned was a dreamy experience. I'm not expecting to repeat that success but you never know. 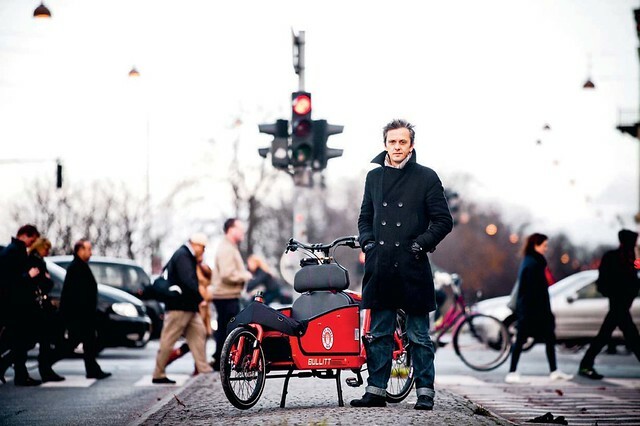 There are only 30 red Bullitts in Copenhagen and none of them have red side panels like mine. Here's the description. - Brooks saddle and Brooks handlebar grips. - The red side panels are one of a kind. - It's the only damn Bullitt with black brake cables and a white gear cable. - On the cross bar there is a "Hold my bicycle while I kiss your girlfriend" Cycle Chic sticker. - On the left side of the box there is an FC St. Pauli sticker (round) and a Copenhagenize sticker (round) as well as a Svajerløb 2011 sticker. - On the right side of the box there is a Copenhagenize sticker (round) and some Svajerløb stickers. - On the handlebar stem there is a Knog Skink bike light (white) - which doesn't work and stopped working shortly after starting to use it because a couple of rain drops got in it. Sheesh. - On the back fender there are three Transporte Ativo stickers in three colours. - The Bullitt logo on the sides - at the bottom - is in a yellowish colour, whereas many Red Bullitts have white lettering. This is quite an important detail in recognising it. Thanks in advance for any help. Wouldn't it be wild to get it back twice? Remember... when a bike is stolen a fairy dies.